KYIV. Aug 27 (Interfax) – The Ukrainian government plans to endorse a Ukraine-NATO action program for 2014 at its Wednesday session, Prime Minister Arseny Yatsenyuk said. “The government will endorse a Ukraine-NATO annual action program today. The president of Ukraine will be present at the NATO summit. NATO is our partner, and we expect our western partners and the alliance to offer practical assistance and to make momentous decisions at the summit on September 4. 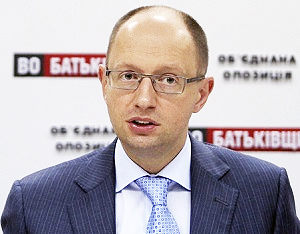 We need help,” Yatsenyuk said at a government meeting on Wednesday.